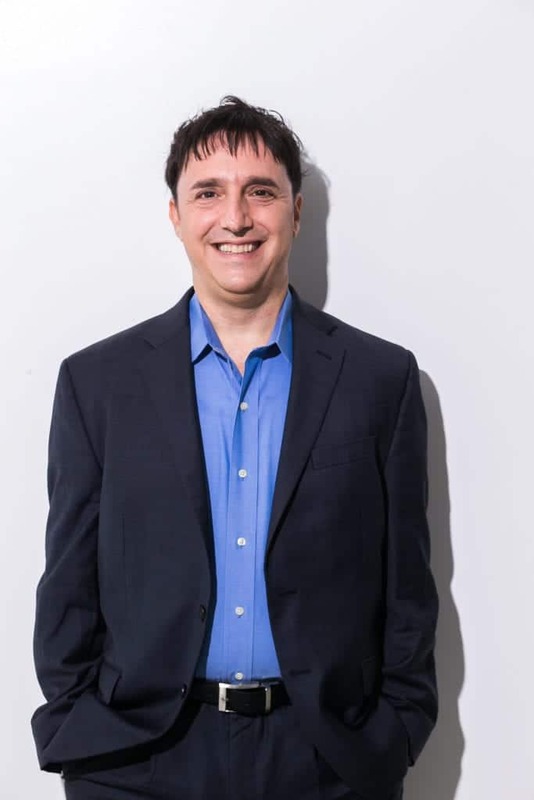 Neal Schaffer is a leading authority on helping businesses through their digital transformation of sales and marketing through consulting, training, and helping enterprises large and small develop and execute on social media marketing strategy, influencer marketing, and social selling initiatives. President of the social media agency PDCA Social, Neal also teaches digital media to executives at Rutgers University, the Irish Management Institute (Ireland), and the University of Jyvaskyla (Finland). Fluent in Japanese and Mandarin Chinese, Neal is a popular social media speaker and has been invited to speak about digital media on four continents in a dozen countries. 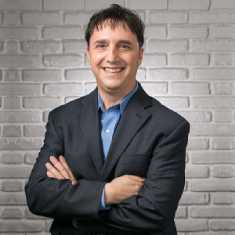 He is also the author of 3 books on social media, including Maximize Your Social (Wiley), and in February, 2020 will publish his 4th book, The Age of Influence – The Power of Influencers to Elevate Your Brand, on educating the market on the why and how every business should leverage the potential of influencer marketing. Neal resides in Irvine, California but also frequently travels to Japan. In addition to be named one of marketing’s ten biggest thought leaders by CMO.com, Neal has also been recognized as a Forbes Top 50 Social Media Power Influencer as well as a Forbes Top 5 Social Sales Influencer. Neal began his social media career focusing on social media strategy consulting, which he has done for dozens of companies since he began in January, 2010. In addition to consulting, coaching, and advising, responding to customer requests, Neal launched a social media agency, PDCA Social, in May, 2016. While the focus of his agency branding is on helping Japanese clients with foreign online marketing, he has expanded to help companies globally with the implementation of their social media initiatives. Neal is also a leading educator and speaker. In addition to educating executives on social media as a faculty member of Rutger’s University Mini-Social Media MBA program as well as the Irish Management Institute’s Digital Business Certificate, Neal is also a popular social media keynote speaker who has spoken at hundreds of events over four continents since his first speech on social media in July, 2009. As an author, Neal is best known for his definitive book on social media strategy creation, implementation, and optimization “Maximize Your Social: A One-Stop Guide to Building a Social Media Strategy for Marketing and Business Success” (Wiley) but has also published two other award-winning and critically acclaimed social media books: ”Maximizing LinkedIn for Sales and Social Media Marketing” and “Windmill Networking: Maximizing LinkedIn.” In the winter of 2019 Neal will publish his 4th book, “The Business of Influence” (Harper Collins), on educating the market on the why and how every business should leverage the potential of influencer marketing. Social Media Agency – Neal founded PDCA Social because he realized that companies sometimes simply don’t have the resources or bandwidth to do social media the right way. Instead of trying to become the expert, it’s faster and more effective to simply hire one. Neal works strategically with clients focused on objectives-oriented social media programs where he utilizes his experience and his PDCA Social Media Framework to deliver unparalleled results for his clients. Currently this agency focuses on working with Japanese clients, so the website is only available in Japanese at the moment, but if interested please indicate your specifics in the form by clicking here. Social Media Strategy Consultant – Neal works with companies in auditing their current social media efforts company-wide and creating a comprehensive social media strategy that aligns corporate objectives with the potential for social business. For smaller businesses who need to have an expert social media advisor on call for practical advice, Neal offers this service at reasonable rates to help as many companies as possible with their social media. For more information click here. Social Media Trainer and Educator – Neal is often called upon to help educate internal sales and marketing teams on a wide variety of social media-related topics, including Social Media Strategy, Social Selling, Employee Advocacy, Personal Branding, Influencer Marketing, Paid Social, Content Marketing, Social Media Tools, as well as the mechanics of how each social network works. In this respect, Neal offers private workshops as well as classes through the Rutgers University Business School Mini-MBA in Social Media Marketing as well as Social Selling in a Digital World programs, the Irish Management Institute Diploma in Digital Business program, and the University of Jyvaskyla Avance Executive Education program. Social Media Speaker – Whether it’s a keynote speech, presentation for a professional association or a hands-on workshop for an internal audience, Neal delivers customized content with concrete takeaways to meet your needs. For more details click here. Social Media Influencer – Neal can help your business in the amplification of and/or creation/co-creation of content to help amplify your brand’s presence in social media. For more details click here. If you would like to inquire about hiring Neal for any of these services, please fill out the form by clicking here. 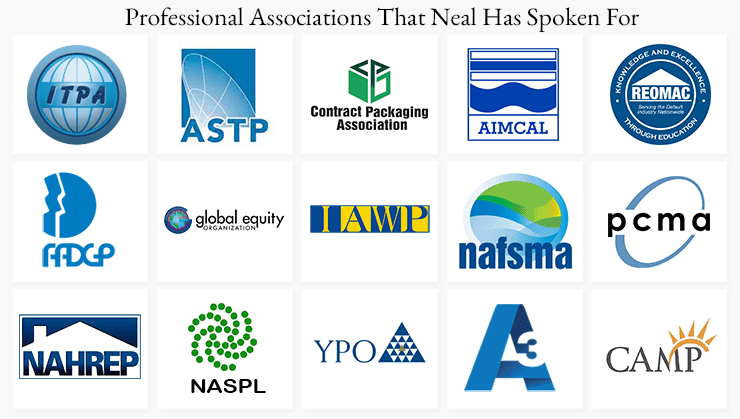 Want to Learn More about Neal? Click on any image to open a video. Bryan Kramer interviews Neal at Cisco Live!